Following cancellation of Israel-Argentina game, Communication Minister careful not to intervene in Eurovision lest it lead to cancellation. 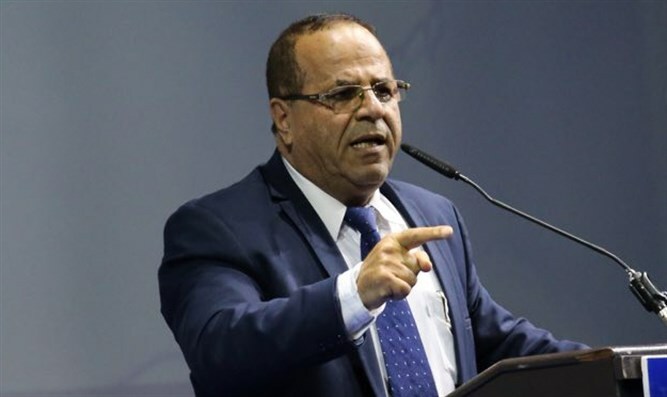 Communications Minister Ayoub Kara, who is accompanying Prime Minister Netanyahu on his visit to Europe, said today the cancellation of the soccer match between Israel and Argentina made it clear to him that he should stay away from attempts to intervene in the Eurovision Song Contest. Kara fears that political interference could derail the Eurovision Song Contest in Jerusalem. "I'm not going to touch the Eurovision, they'll throw something at me," the Minister told Channel 2 News. Prime Minister Netanyahu referred to the cancellation of the game with Argentina this afternoon. "Let's move on, guys," Netanyahu said before taking off from Paris to London. Jerusalem Affairs Minister and mayoral candidate Zeev Elkin called for strengthening Jerusalem's status following the friendly game's cancellation. "Where's our national pride? The interest of the State of Israel is to strengthen our capital - Jerusalem, and not to engage in petty politics when we're challenged from the outside! "Today it's Messi, tomorrow the Eurovision Song Contest, the day after tomorrow the Knesset; this is the time to unite and continue to strengthen Jerusalem!"